This week Business Planet looks at the concept of social enterprise – sustainable, innovative entrepreneurial answers to society’s challenges. It’s fast becoming a real new business model in Europe today. Loïc Van Cutsem is the General Manager of Oksigen, a company that believes society’s most pressing issues need to be tackled using an entrepreneurial approach that simultaneously creates social and economic value. One out of four new entrepreneurs in Europe is a social entrepreneur. In 2015 social economy enterprises such as cooperatives, mutual companies, associations, foundations or social enterprises, represent 10 % of the EU’s GDP and 6 % of the workforce. The main objective of social entrepreneurship is to have a societal or environmental impact rather than maximise a profit for owners or shareholders. Access to funding is a major problem faced by many social entrepreneurs. Crowdfunding could help them reach new sources of financing. 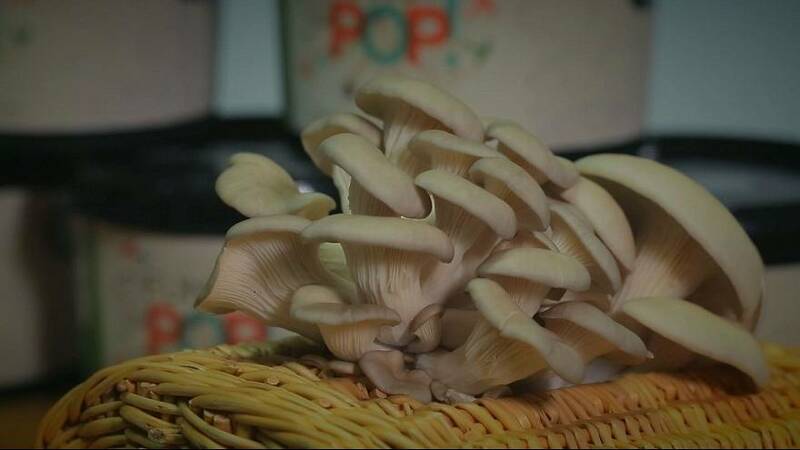 Permafungi is a Belgian social economy enterprise that has successfully raised funds through a crowdfunding campaign on OksigenCrowd, co-financed by the European Commission. PermaFungi based in Brussels, is a good example of what we are talking about. They grow mushrooms using using coffee grounds as a fertilizer. A cyclists collects around one-and-a-half tons of used coffee from restaurants every month. The company produces around three to four hundred kilos of fresh organic mushrooms, which are then sold in markets. They also make kits for growing mushrooms at home. Once production is complete, the coffee grounds are again re-used as a fertilizer, this time by farmers. Another interesting aspect of the project is that it creates local jobs for the low-skilled staff, who might otherwise have difficulty finding a job. Launched eighteen months ago, the company now employs six people, and plans to diversify its product range. So there are many opportunities, but the main idea is to come up with a dynamic new entrepreneurial model. “Our goal is not to become a huge mushroom producer,” says Martin. “But rather to help other social entrepreneurs to start their own mushroom production in different locations. Social enterprise has particular potential in terms of the circular economy, or recycling. Collective financing is also a good way to raise funds for such projects. PermaFungi raised over 10,000 by way of crowdfunding. So does that mean that the crowdfunding system is particularly suitable for social enterprise? Loïc Van Cutsem says that social enterprise is not only possible but that there are an increasing resources available throughout Europe to help and support projects. You can see the full programme by clicking on the video above.